Mark Gottlieb, the executive director of PHAI, discussed the legality of paid daily fantasy sports games in Massachusetts on New England Cable News channel’s public affairs show, “Broadside” with Sue O’Connell. The segment aired on November 3, 2015. In 2014 and 2015, the Public Health Advocacy Institute (PHAI) conducted testing to determine whether kids could purchase lottery tickets from the vending machines located in a number of area supermarkets. At markets in Cambridge, Somerville, and Arlington, Massachusetts, a teenage tester was easily able to purchase lottery tickets in every attempt. Massachusetts law expressly prohibits the sale of lottery tickets to “any person under age eighteen.” Yet the Massachusetts Council on Compulsive Gambling reports that over two-thirds of teenage boys (aged 14-17) have gambled in the past year, and over half of teenage girls have done so. About a third of these children gambled by playing lottery games. 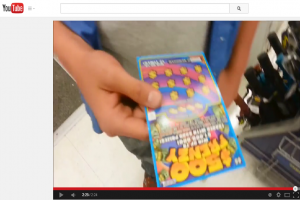 On March 10, 2015, PHAI sent Stop & Shop a legal demand under Massachusetts’ consumer protection law, on behalf of the father of the teenage purchaser, Cambridge City Councilor Craig Kelley, and on behalf of the national non-profit Stop Predatory Gambling Foundation, seeking steps to prevent children from using the lottery ticket vending machines in the company’s stores. According to the demand letter, selling the tickets to minors is an unfair and deceptive sales practice prohibited by law. The action drew media attention and led to an editorial in the Boston Globe urging that the problem be addressed. Representatives from Stop & Shop responded by working with the Massachusetts Lottery Commission to activate drivers’ license scanners in the lottery ticket machines, which operate to confirm that a lottery ticket purchaser is at least 18 years old before the machine will vend a ticket. Stop & Shop informed PHAI last week that all of its lottery ticket vending machines would have these protections in place by the end of July, 2015. PHAI staff spot checked Stop & Shop machines in 3 counties and found that its machines will, in fact, not operate without first scanning an adult driver’s license. In recent months, PHAI has worked with concerned parents and a national anti-predatory gambling group to address youth access to instant lottery tickets through unattended vending machines. 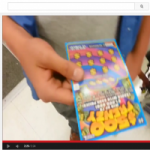 Fears around easy access to scratch tickets by kids grew when we found that a 14-year-old was able to easily purchase tickets from lottery vending machines in supermarkets in Arlington, Cambridge, and Somerville, Massachusetts. Each attempt was made in the late afternoon without any effort to conceal the sale. In each instance, the teenager was able to approach the machine and make a slow and deliberate purchase while customers and store personnel were nearby. PHAI filed a lawsuit on behalf of the father of the teenager as well as Stop Predatory Gambling against one of the supermarket chains, Star Markets, and has initiated legal action against Stop & Shop. In the story published today in the Boston Globe, the Massachusetts Lottery Commission announced that some vending machines will now use a scanning technology feature to verify the age of purchasers through their drivers’ license or state-issued identification. The executive director of the Commission, Beth Bresnahan, indicates that, “following some incidents of underage play that recently transpired . 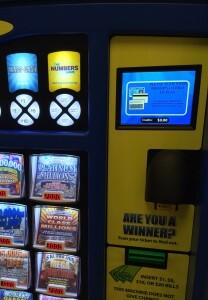 . . the Lottery is activating this feature across all of the approximately 500 PAT machines currently in the field to fully protect the integrity of ticket sales at retail locations.” “PATs,” or “Player Activated Terminals,” represent less than 30% of all lottery vending machines in Massachusetts. The “incidents” Ms. Bresnahan referred to are, presumably, those that were brought to the attention of the Commission through PHAI’s litigation and coverage of the lawsuit by the Boston Globe as well as its strong editorial calling for effective age-restriction enforcement by the Commission. It remains to be seen whether these new measures will be effective, particularly because they affect only a fraction of the vending machines that are in places frequented by youth. The Public Health Advocacy Institute (PHAI) today sent a demand letter to the Star Markets supermarket chain, charging the company with violating the Massachusetts Consumer Protection Act by illegally selling lottery tickets to minors. The letter calls on Star Markets to remove lottery scratch ticket vending machines from its stores. PHAI sent the letter on behalf of Craig Kelley, the father of a 14-year old boy who purchased lottery tickets from vending machines at two Star Market locations, and also on behalf of the Stop Predatory Gambling Foundation. The Foundation is a national non-profit organization with an office in Massachusetts, whose mission is to end the unfairness and inequality created by government-sponsored gambling. According to the letter, Massachusetts law expressly prohibits the sale of lottery tickets to “any person under age eighteen” (G.L. c. 10, sec. 29). Yet, the Massachusetts Council on Compulsive Gambling reports that over two-thirds of teenage boys (aged 14-17) have gambled in the past year, and over half of teenage girls have done so. About a third of these children gambled by playing lottery games. The boy purchased the lottery tickets on the evening of September 24 at the Star Market stores in Porter Square in Cambridge, and on Beacon Street in Somerville. 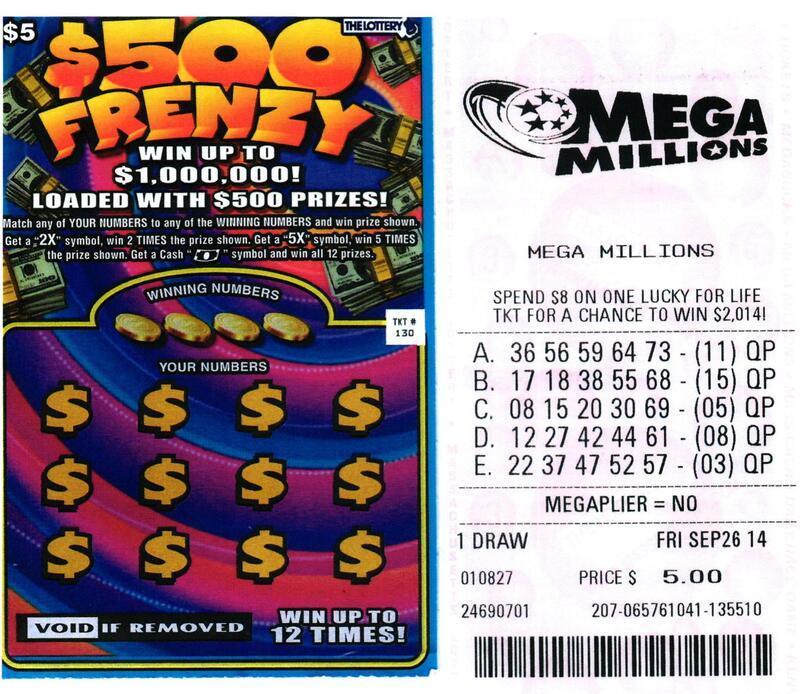 He was able to get access to the machines and purchase Mega Millions and $500 Frenzy game tickets without any difficulty, and without being asked to provide any proof of age.